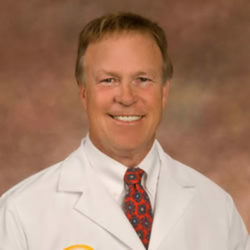 Gerald Clarke, MD, a board certified ophthalmologist, received his undergraduate degree from the University of Notre Dame. He graduated first in his class from Loyola University School of Medicine. After completing his residency at Milwaukee’s Eye Institute, he founded Ophthalmic Surgery of Wisconsin in Oshkosh. He is a pioneer in his field. He performed the first Radial Keratotomy in Wisconsin, he is an accomplished LASIK laser vision correction surgeon and he has performed thousands of cataract and glaucoma surgeries. Each spring, Dr. Clarke travels with a surgery team to Honduras and performs cataract surgery at no charge to the underprivileged. Dr. Clarke is a fellow of the American Academy of Ophthalmology, a member of the American Society of Cataract and Refractive Surgeons, Sports Ophthalmology Association of the Americas, and a member of the American Medical Association and the Wisconsin Medical Society. Dr. Clarke and his wife reside in Appleton. In his spare time, Dr. Clarke enjoys writing and dancing. He is a published science fiction author and has produced a movie based on his book, The Drone Virus.